This is Copelandia's Big Brother, the third most grown psilocybin mushroom in Amsterdam. Other names for this mushroom are; Copelandia cyanescens or Hawaiian mushroom, and is one of the strongest hallucinogenic mushrooms known. Are you looking on how to grow your own Panaeolus Subbalteatus magic mushrooms, and are you seeking a reliable supplier who understands your need and know how to satisfy you easily? No More: Dung, rotted and or composting hay! Our Copelandia big brother "Hawaiian" grow kits contain 100% populated substrate for growing Panaeolus Subbalteatus, and are guaranteed to deliver several flushes and as much as 4 harvests, depending on your maintenance. Extremely high potency! For the experienced psychonaut only! The trip takes about 6 hours and wears down gradually. The interval between hallucinations gets longer, until they disappear completely. These mushrooms contain more active substances than other species. The Panaeolus subbalteatus contains approximately 0,7% psilocybin and 0,46% baeocystin along with large amounts of serotonin and 5-hydroxytryptophan. It does not contain psilocin. Experimental research demonstrates that serotonin can not reach the brain when taken orally. Nevertheless, the trip reports of the Panaeolus subbalteatus are different from mushrooms that contain only psilocybin; they are more empathogenic and aphrodisiac and yet still very hallucinating. I did test this kit 3 times now, and i must say thumbs up! You cracked the code. 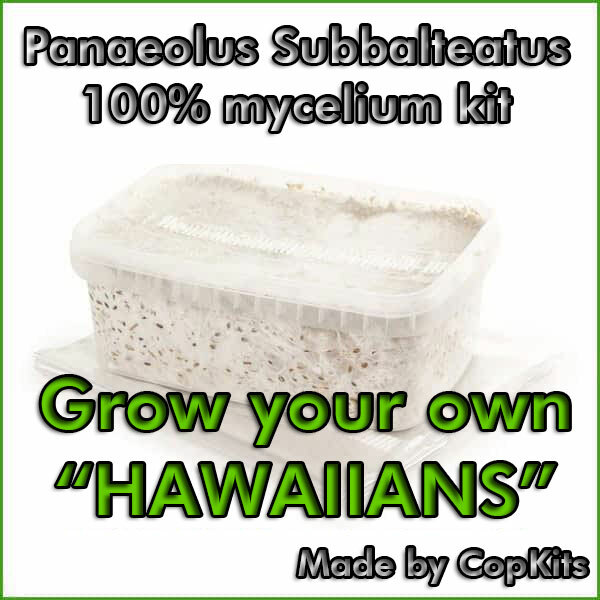 Easy to grow and i think the only 100% mycelium kit for copelandia shrooms. Thank you for offering me this kit. It arrived in 3 days. Super service! 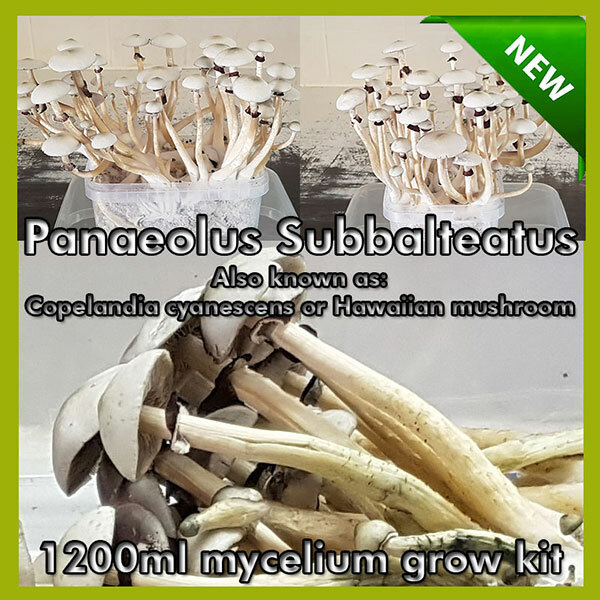 Share your experience about Panaeolus Subbalteatus with other customers. Submit your tips or thought on this product, be detailed and specific.